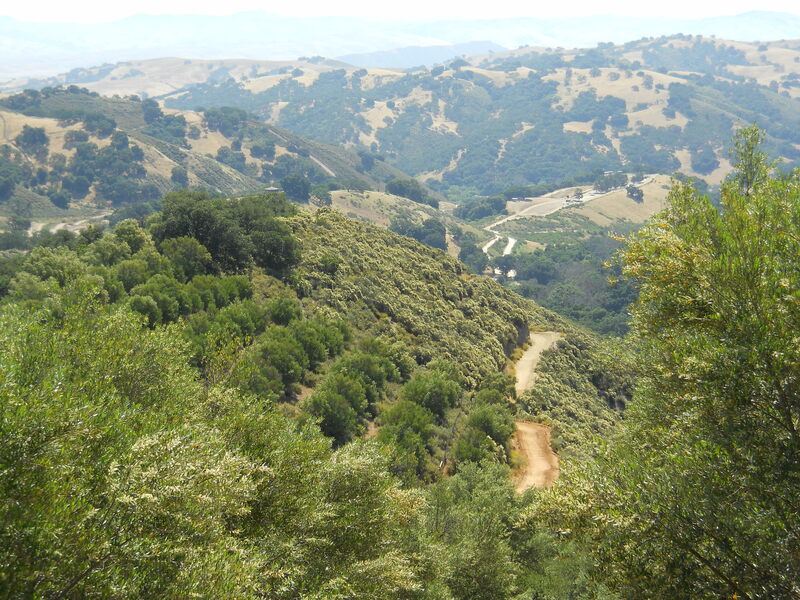 A tribe of the Ohlone people that lived, and still live, in the vicinity of Hollister Hills SVRA are called “Mutsun.” During the late 1700s, Spanish explorers encountered these and other Native Americans in the area. Spain established nearby Mission San Juan Bautista in the late 1790s and forced many of the Ohlone people, along with members of other tribes or bands from the area, to build the mission. In 1822, the Mexican government, which was hostile to the mission system, took back the lands from the church, and in 1839, the land was divided into two Mexican land grants: Rancho San Justo and Rancho Cienega del Gabilan. Today, Hollister Hills SVRA is located on parts of both of these former land grants. OHVs were first used on the ranch in 1947 when Howard established the Bird Creek Hunting Club. Jeeps, motorcycles, and “tote-goats” were used for transportation to get around the ranch. The Bird Creek Hunting Lodge was located at the site of the current general store in Lodge Camp. During the 1950s, private OHV activities were held and by 1970, the ranch was officially opened for public OHV recreation. Howard managed the land as a motorcycle park until October 1, 1975, when the land was sold to the State of California and became Hollister Hills SVRA. Remnants of a walnut orchard planted by Howard Harris can be seen on the right hand side of the road near the park’s main entrance. This orchard is an excellent example of one of California’s earliest and more successful experimental orchards. The techniques pioneered by Howard were originally criticized but resulted in significantly increased yields and soon were adopted as the industry standard. 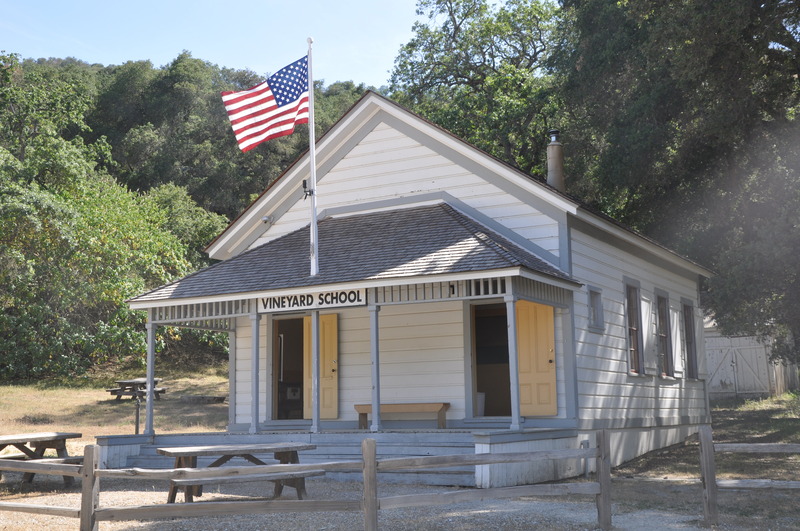 Located near the entrance to the Upper Ranch is the historic Vineyard Schoolhouse. The school was established in 1891 and operated as a county schoolhouse until 1952. It is a classic example of a one-room schoolhouse reflecting local traditional architecture. 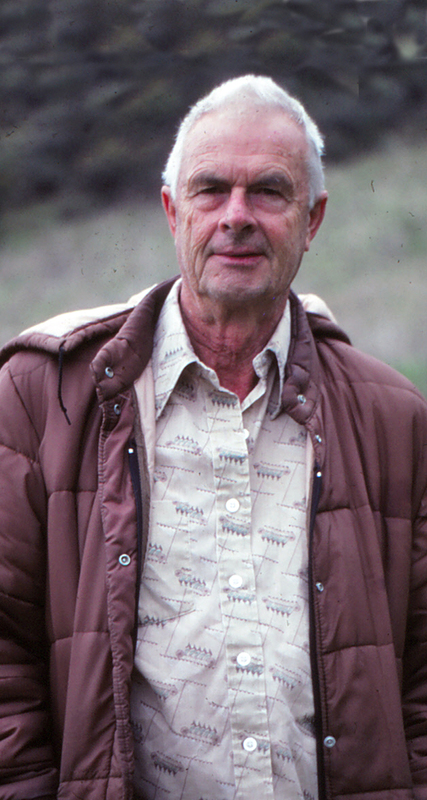 Howard Harris, the last private owner of the ranch, attended school here. Located on the Renz Ranch, the Windmill area is a destination spot with a rich history. Interpretive displays are provided at the site and share some of the history of the Renz family who often had family picnics in this very location. Today, under the shade of majestic oak trees and an operating windmill, visitors can once again carry on the tradition of family picnics in this scenic location. Located on Olive Orchard Road in the Lower Ranch, the Olive Orchard was planted in 1865 by retired sea captain David Pierce. Pierce went to Barcelona to purchase olive trees, and brought them back to Hollister. Unfortunately, soon after planting the trees, Pierce died and the orchard was never farmed.